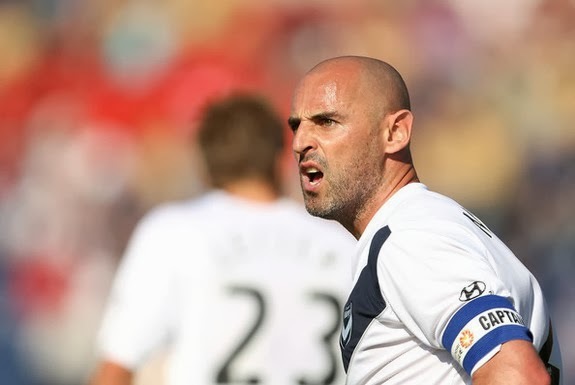 Spanish website El Gol Digital has compiled a list of the most violent players in the history of football and ex-Australia international Kevin Muscat has been dubbed the dirtiest player ever. The site posted a list of the 10 worst offenders of the past and present, including Pepe, Nigel de Jong, Roy Keane, and the infamous Andoni Goikoetxea. In a professional career spanning 19 years from 1992 to 2011, Muscat received 123 yellow cards and 12 red cards. Muscat first made a name for himself as a hard man in the United Kingdom while playing for Wolverhampton Wanderers, Crystal Palace, Glasgow Rangers, and Millwall. The 40-year-old was dubbed the "most hated man in football" by then Birmingham City player Martin Grainger after a reckless tackle against Australia teammate Stan Lazaridis in 2000. Ex-Charlton Athletic player Matty Holmes had to have four operations on his leg following a tackle by Muscat in 1998, and there were initial fears that his leg might have to be amputated. But it was the shameful end to his A-League career that earned him this unenviable gong. Footage of Muscat's vicious tackle on Adrian Zahra in 2011 - which resulted in a career ending suspension - went viral to become his lasting reputation in the world of football.